and its potential eruption in the 2050? It came as a great surprise to see the most critical form of plasma-flow dynamics incorporated into high-level political symbol. That's rare. But it happened in 2016. 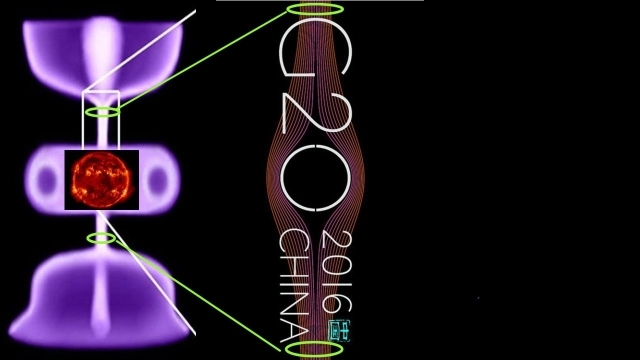 We see an image of plasma-flow dynamics incorporated into the 2016 logo for the G20 world-economic summit, a summit that represents the majority of the population of the world. 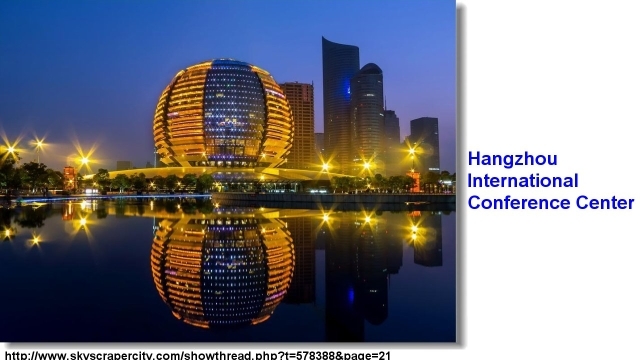 The 2016 summit was convened in China on September 4–5 at the Hangzhou International Exhibition Centre. It was the first G20 summit hosted by China. It was likely that China, as the host of the event, determined the logo to represent it. That's significant. The logo is significant. Its symbolism can be seen to refer to plasma-flow physics. 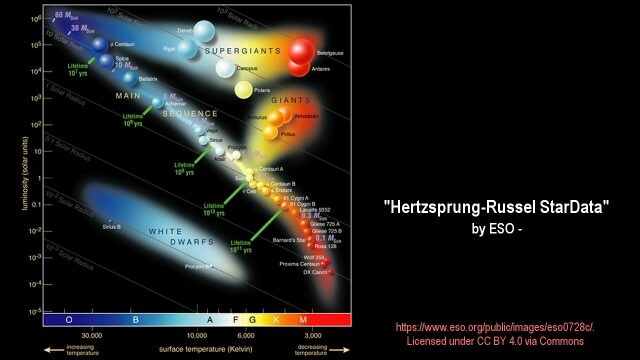 Plasma physics is of central importance for understanding the dynamics of the solar system, and with it the future of humanity that is immensely affected by the ever-changing operation of the Sun as a plasma sphere powered by interstellar plasma streams. The logo appears to be a statement by China that it is committed to the future of humanity - to the uplifting of humanity scientifically, culturally, and economically, in order to assure that humanity will have a bright and secure future, versus having no future at all. That's what the symbol has the potential to represent. It represents an issue that is presently largely ignored across the world, except in leading edge circles where China has begun to play a major contributary role. It appears that with this symbol, China is saying to the world, we have taken over the lead in plasma-astrophysics that the USA has pioneered, in which it made enormous strides forward with extremely important discoveries, but which, under political pressure, it is now denying. China seems to say to the world that it is moving forward with what the USA and the West has started and then closed its eyes to. But, what is so critically important about the symbol? Is it really intended to represent plasma-flow dynamics, and China's commitment to its scientific exploration? 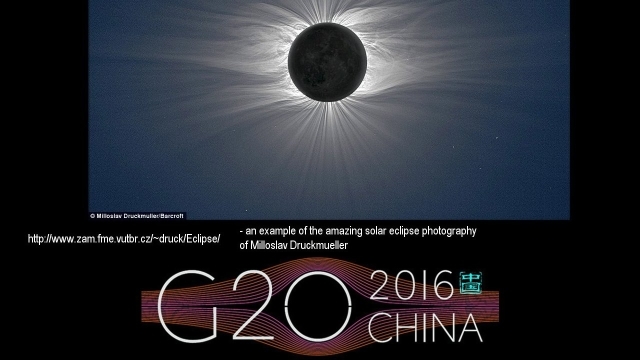 It is interesting to note here that the G20 symbol can be seen to match in principle the solar-wind streams out-flowing from the Sun that are shown here, photographed in visible light during solar-eclipse conditions. The solar wind is an electrodynamics phenomenon. Large masses of plasma are continuously flowing away from the Sun. The mass is accelerated away from the Sun, against the force of gravity, to the immensely high velocity of up to 800 Km/sec. At this velocity, the solar-wind plasma particles reach outward beyond the farthest plant to a distance of nearly 100 astronomical unites before the particles come to a halt. Nothing but electromagnetic action can cause this immensely powerful acceleration of the solar wind against the massive force of the gravity of the Sun. The acceleration of the solar wind to the observed tremendous speed, is not possible under the standard model of the Sun as a gravity-powered hydrogen fusion furnace. The solar-wind acceleration is a nagging paradox there, under the standard model, for which exotic theories are invented to make the impossible appear plausible. 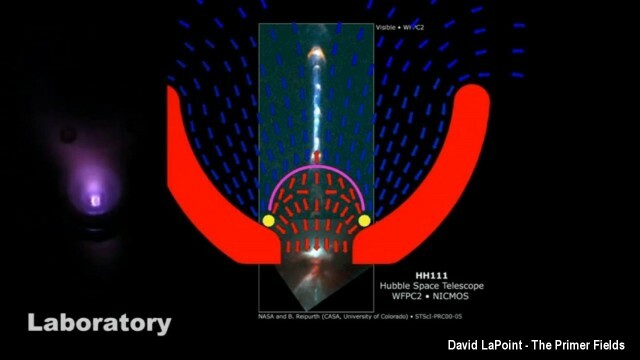 However, in electro-astrophysics, the solar-wind acceleration against the force of gravity to the known extremely high velocities, is not a paradox at all, but is the natural reflection of basic plasma-flow principles that have been explored in the small in laboratory experiments. 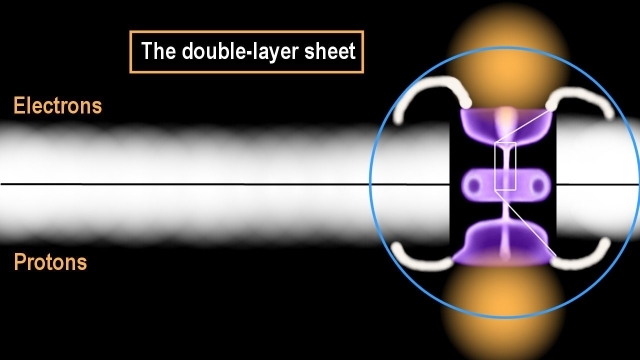 The principle has also been observed in the very large in the form of the so-called relativistic jet, as the one shown here superimposed onto lab experiments that produced the same phenomenon at the point of rupture of a magnetic confinement field that contains of magnetically concentrated plasma, venting excess plasma. 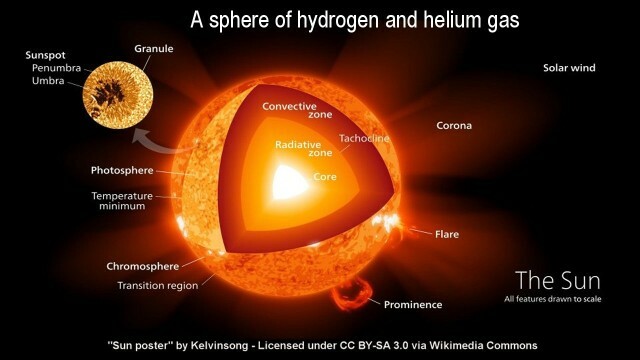 Another phenomenon that should not be possible under the standard model of the Sun as a sphere of hydrogen gas, is that of the gigantic plasma loops that are routinely observed. The surface of the Sun is seen teeming with electromagnetic plasma-flow phenomena that shouldn't be happening on the surface of a sphere of hydrogen gas that is electrically inert, but the giant loops are happening. They are happening, because the Sun is a plasma sphere that is powered externally by streams of plasma interacting with it on its surface, causing teeming electric flows within it that generate magnetic phenomena. All magnetic phenomena in the universe are the result of moving, electrically charged, particles or ions. Plasma streams are the blood of the universe, hence the name plasma. They power every sun. 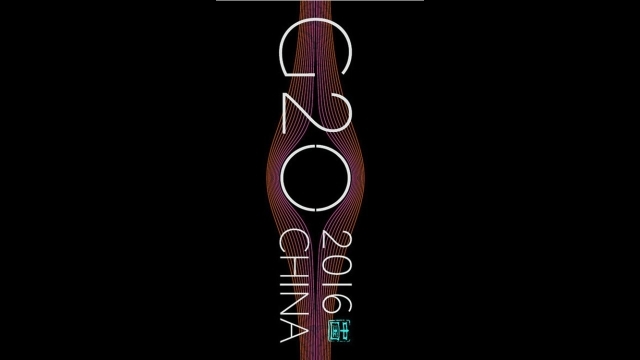 The G20 symbol seems to symbolize that an understanding of this fact has been achieved in China. 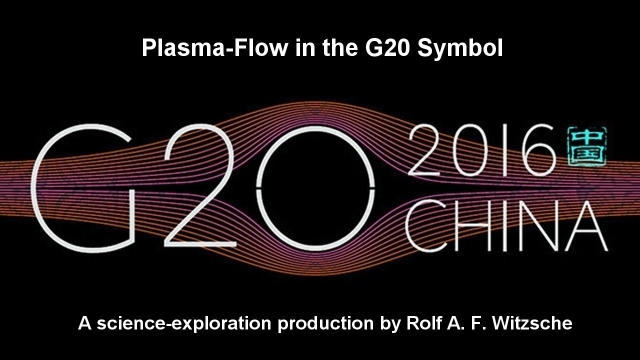 The symbol seems to represents plasma streams in conjunction with a sun and China's commitment to science explorations of the resulting phenomena. 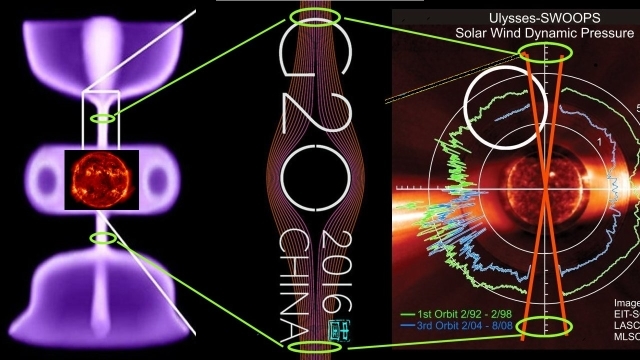 The symbol seems to say that China is actively moving away from the standard model of the Sun, to the plasma model of it, towards and beyond the same model that the West had once pioneered, but which it now denies. 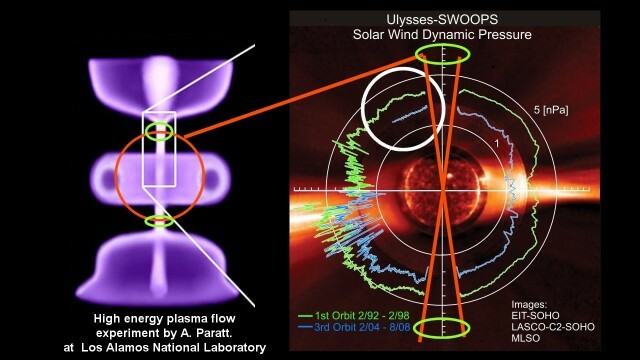 Some of the great discoveries in the West, in plasma-flow physics, that had been celebrated until a decade ago, were made by the ULYSSES space mission. The mission was a 30-years project in which the Ulysses spacecraft was designed, constructed, and placed into a polar orbit around the Sun at a distance to the Sun roughly that of the orbit of Jupiter. 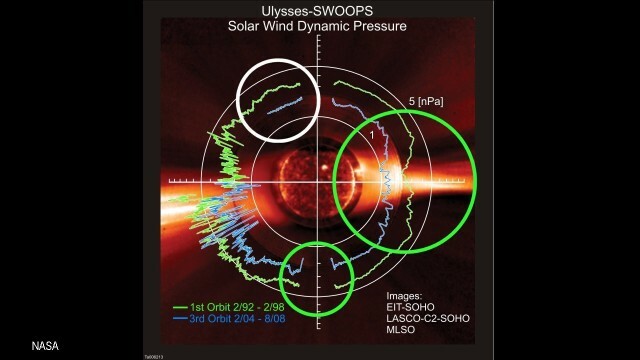 From its wide orbit, some of Ulysses' instruments had measured the solar-wind 'pressure' over a long period of time that spanned almost 3 complete orbits. The measurements that were received from the spacecraft revealed that over the 10 years between its 1st and 3rd orbit, the solar-wind pressure has diminished by a whopping 30%, as is high-lighted in the white circle. This 30% loss in solar-wind pressure is enormous for such a short timeframe on the cosmic scale. 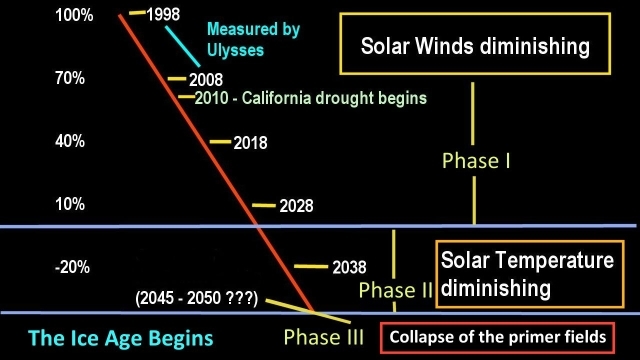 If one projects the diminishment forward in time at a linear rate, the solar wind-pressure will reach the zero point in the 2030s, or sooner as the rate of diminishment seems to increase. The solar-wind cut-off point is evidently a critical point. 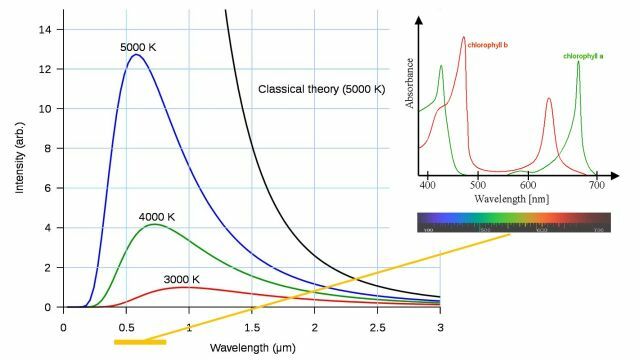 which powers its surface plasma-fusion process that as a by-product produces radiated light and heat. 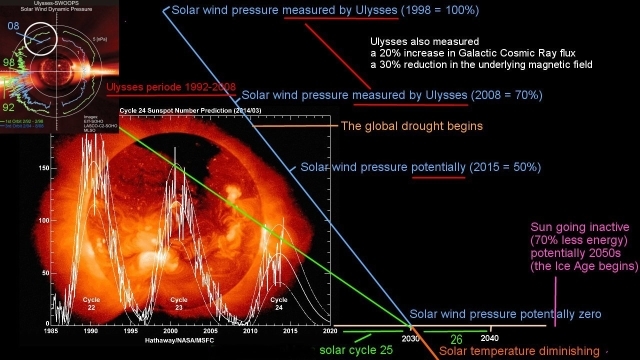 That the solar activity is likewise diminishing in step with the diminishing solar wind is evident in the diminishment of the solar cycles, as has been recorded by NASA during the relevant timeframe. Both of these trends, the solar cycles-trend and the solar-wind trend, make it possible for us, scientifically, especially by their coincidence, to read the writing on the wall that tells us that after the solar-wind cut-off in the 2030s, the solar intensity itself will diminish. 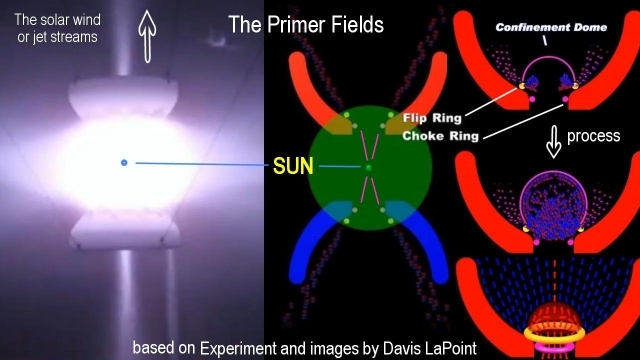 The reduced plasma flow that results from this point on will cause the eventual collapse one of the electromagnetic primer fields that currently focus plasma unto the Sun. 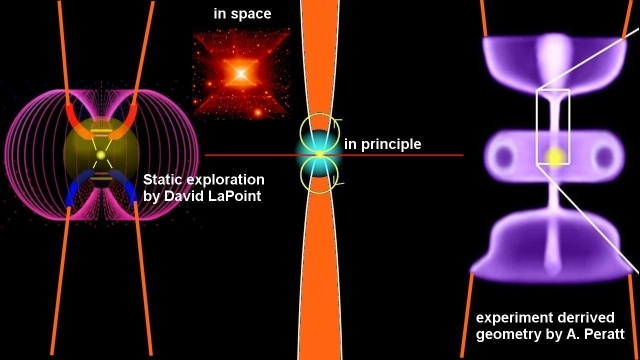 The primer fields are theorized, and experimentally replicated, magnetic structures that are created by the movement of eclectically charged particles. The electric-flow phenomenon that creates these magnetic fields makes their structure flow-volume dependent. When the flow-volume drops below a threshold level, the fields can no longer form, and those that are currently operating, will simply collapse and vanish. When this collapse phase-shift occurs in the solar system, potentially in the 2050s as the diminishment of the solar wind indicates, the solar surface temperature will fall back from the current 5,800 degrees Kelvin to its default or glacial state near the 4,000 degrees level. 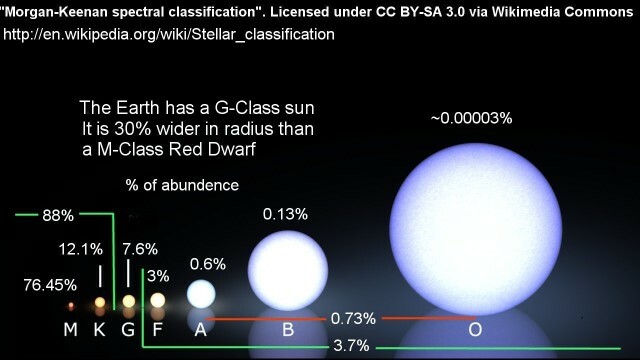 The default level of 4,000 degrees is widely typical at the present time throughout the galaxy. When the phase shift happens for our solar system, the next Ice Age begins on Earth. 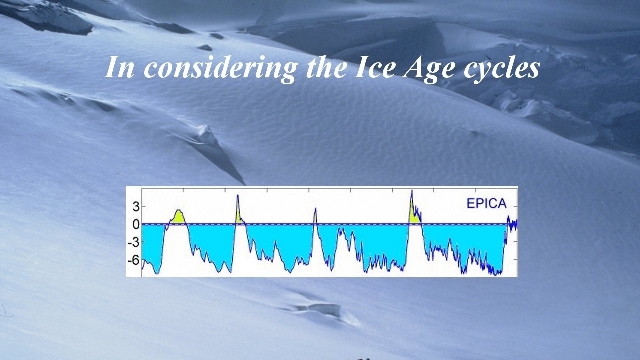 Deeply cutting ice age conditions have been the norm on Earth for the last two million years. Only half a million years are shown here. The measurements have been gleamed from ice core samples taken in Antarctica. The measurements tell us that the otherwise normal Ice Age conditions become interrupted periodically when the plasma-density flowing through the solar system is sufficiently recovered for the primer fields to form anew, which focus high-density plasma onto the Sun for the duration of the interglacial periods as the one we presently live in, but which has run its course. Is this what the G20 symbol hints at? 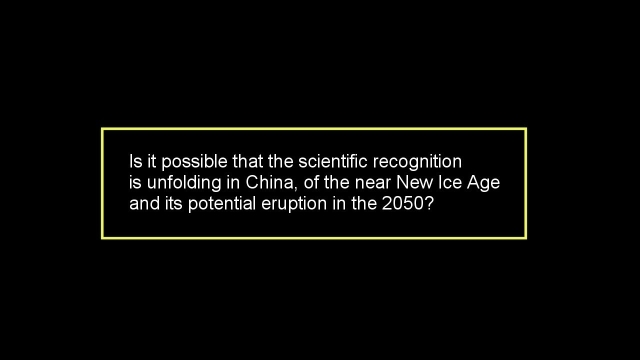 Is it a recognition in China that our nicely-warm interglacial climate, which is plasma-flow dependent and vulnerable to cut-off conditions, is about to end? If this is the recognition, the current political climate in the world makes any form of official statement of it impossible. To do so would be political suicide. Nevertheless, the recognition might be safely stated symbolically. It might well be that the symbol is this type of hidden statement, uttered through the back door, is a statement that the time has come to act on what stands behind it. The ice core records indicate that the timing is critical. They tell us that during the solar default state, the solar energy received on Earth will be roughly 70% less intense than it presently is. 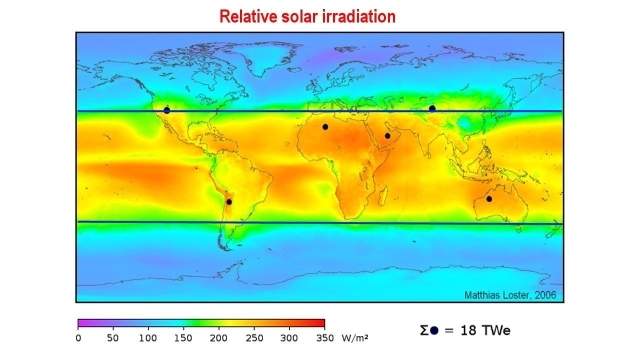 The projected vastly dramatic solar-energy reduction renders all regions outside the tropics uninhabitable, while the tropics, especially near the equator, will receive just barely enough solar energy for agriculture to be able to continue there, supplemented in some cases with indoor agriculture. 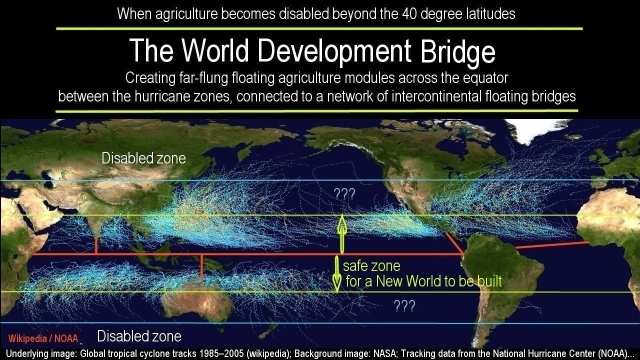 In order for humanity to survive, vast new spaces for living will need to be developed in the tropics, preferably along the equator, for the relocation of humanity and its agriculture to be possible, so that both will continue to exist uninterrupted. The infrastructures for the enormous relocation can all be created, even with most of them being located afloat on the equatorial seas. 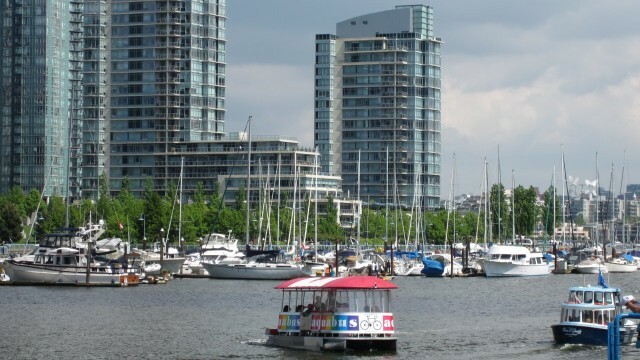 The technologies and resources do exist to accomplish such a task, even to build 6,000 new cities that will be required for it, with many of them placed afloat on the seas. It is even economically possible to accomplish the task in the short span of the 30 years that we may have left to get it done. But will we do it? China seems to say, we know what this all means; we are aware of the immense scope of economic development that is required for humanity to survive, and that this only possible with global cooperation. Both of these, the massive economic development and the global cooperation, are two of the key items placed onto the table by China at the 2016 G20 Summit. It appears therefore that the G20 symbol that potentially relates to all that, was not accidentally chosen. It seems to say to the world, we know where the future of humanity lies and what must be done for humanity to have a future at all, and we are committed to move forward past the point where the USA has turned itself off; that we are committed to secure the future of humanity. 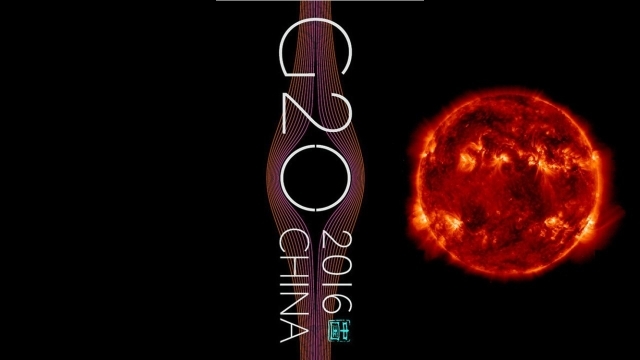 The G20 symbol can also be seen in still another context that is critical for understanding the solar system and its dynamics, for which the West has provided ample physical evidence already, but then closed its eyes to it. One of the discoveries that the Ulysses mission brought home, is the glaring gap in solar wind over both the Sun's polar regions. The gap is sharply defined and was detected at every orbit. 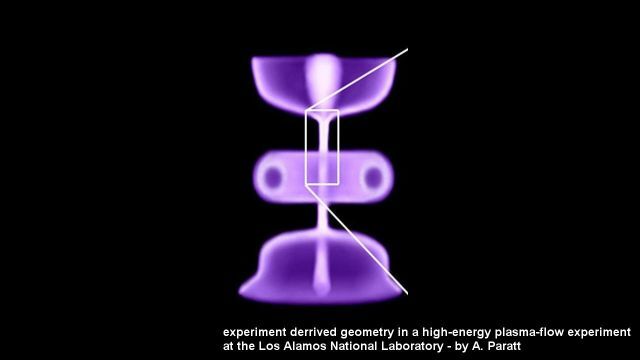 The gap is significant in that it corresponds with discoveries made in the small in plasma-flow experiments at the Los Alamos National Laboratory. The experiment illustrates that electromagnet principles concentrate flowing plasma into a tightly confined self-aligned stream, which emits some its energy magnetically, and then reverts itself back into the wide flow with which it started, by the reverse of the principle. 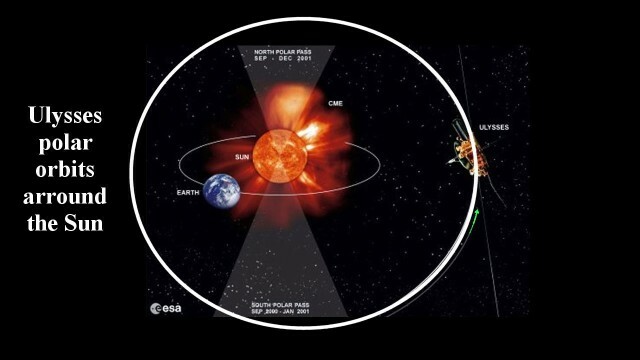 Since every sun is a plasma-powered engine, the observed gap would have to appear in the solar wind patterns, right over the poles where the plasma connection occurs. That's what the Ulysses spacecraft has detected. An example of the gap is shown here inside the green circle at the south pole. The same is evident over the north pole. 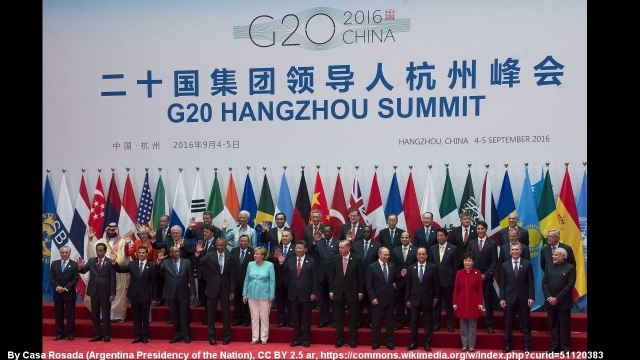 Does the G20 symbol reflect these critical discoveries? Who knows? If so, China may be saying to the world, we are fully aware of the leading edge discoveries in the West, and we invite the West to move forward with us on this vital front. 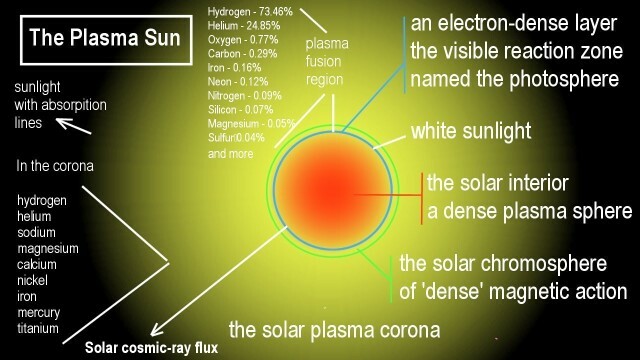 The symbol seems to say, we are aware that the Sun is plasma powered. The evidence is obvious, isn't it? 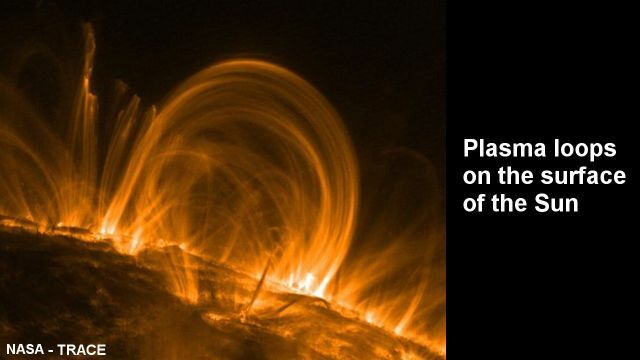 The region of the Sun where the most-intense solar activity occurs is also the region where the plasma flowing around the Sun has the highest theoretical density. 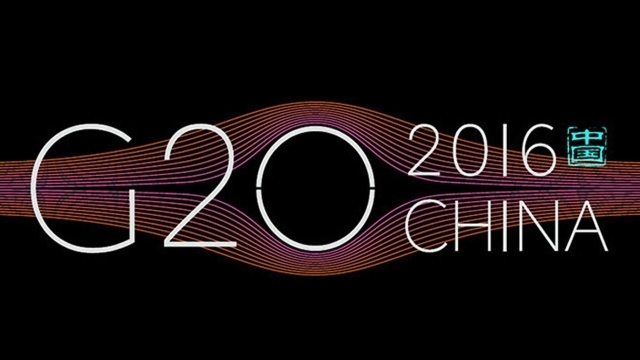 It is unknown, most likely, whether the G20 symbol is meant to reflect the leading edge discoveries in the West, which the West has closed its eyes to, but which China is moving forward with. It is highly likely, however, that the affirmative is the case, and that in this case China may be the only country represented here, at the 2016 G20 Summit by which the critical scientific recognition is made, or is beginning to be made, with the possible addition of Russia where scientific development is still being promoted and has had a long-standing tradition behind it. In almost all other countries, the scientific focus that the G20 symbol has the potential to represent, is being denied, and is massively overlaid with the science-perversion dogmas of manmade global warming. 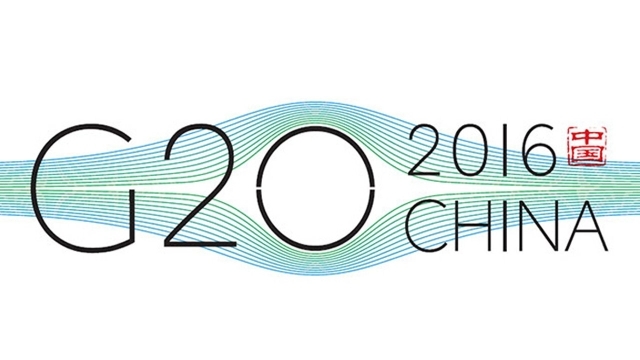 Should the 2016 G20 symbol cause a breakthrough in cosmic-plasma-related recognitions, in other countries, especially from among those assembled beneath the symbol, then the summit will have made the most significant contribution for the future of humanity, from the present time onward, that any political event at the current stage could possibly achieve. Let's hope that this might become so in the near-term ahead.